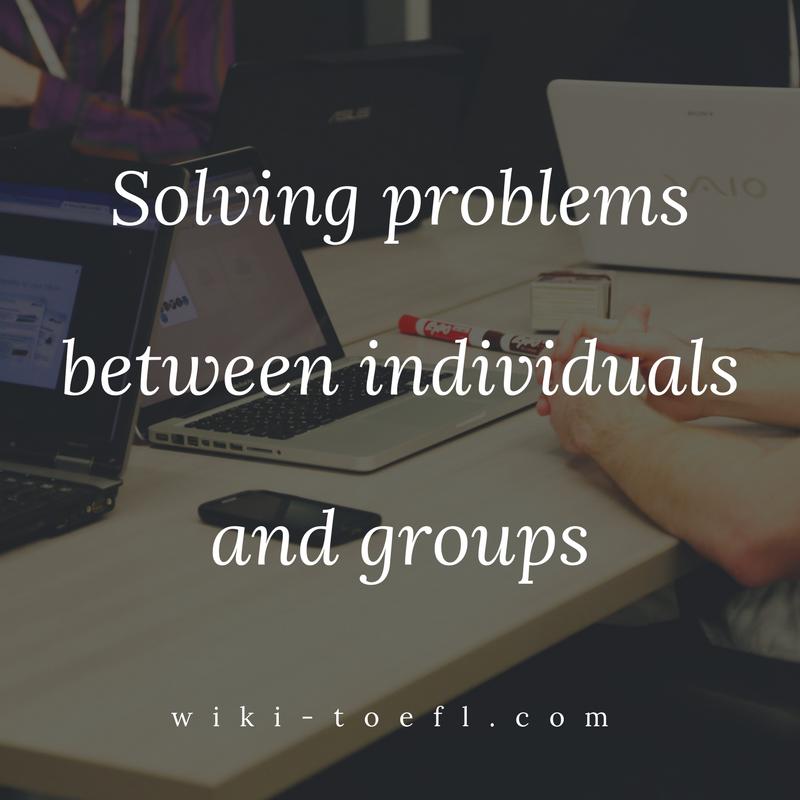 What should be considered in resolving problems between individuals or groups? Home Writing	What should be considered in resolving problems between individuals or groups? Resolving problems between individuals or groups is important. What should be considered or kept in mind in resolving problems between individuals or groups? Conflict resolution is very important. The technique is the same whether it’s between people, between groups, or between nations. You need to find a common ground; you need to learn what both sides want; and you need to plan steps to resolve the conflict. Toefl writing: Do you prefer staying in one place or moving in search of another place? Toefl writing: Do you prefer learning by yourself or with a teacher? Finding a common ground is the first important step in any conflict resolution. For example, if two countries are fighting, a mediator could do what is the single thing that both counties are concerned about. One answer might be their children’s future. Agreeing on the future of their children is an important first step. The next step would be to try to determine what both sides want for their children. For example, Country X says, “Security from Country Y.” Country Y says, “Security from Country X.” Obviously, they feel threatened by one another. The third step is to plan steps to resolve the conflict. A mediator might ask what would make each side more secure: Stronger borders? Increased trade? Smaller military forces? Once the steps are established, the peace process has begun. I don’t mean to imply that this is easy. Resolving long-term disputes is not simple. But the process can be broken down into three steps (common ground, needs, steps to resolution) and then repeated and repeated until there is peace.